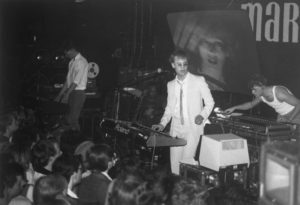 THOMAS DOLBY first came into the public eye in 1981 with his independent single ‘Urges’ b/w ‘Leipzig’ on Armageddon Records, produced by XTC’s Andy Partridge. Simultaneously, he worked as a jobbing session musician. He played keyboards in the backing band of Marina Diamandis’ spiritual godmother LENE LOVICH and wrote her single ‘New Toy’ along the way plus also contributed the lead synthesizer line to FOREIGNER’s evergreen guilty pleasure ‘Waiting For A Girl Like You’. Legend has it that when he got the call from Mick Jones to fly to Electric Lady Studio in New York, Dolby thought he was going to be working with THE CLASH! 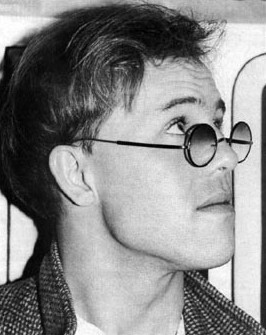 Signing to EMI via his Venice In Peril imprint, in 1982 he released ‘The Golden Age Of Wireless’, a real ‘Boy’s Own’ adventure of an album featuring the singles ‘Airwaves’, ‘Radio Silence’ and ‘Europa And The Pirate Twins’. The UK breakthrough came with the tremendous ‘Windpower’ featuring the voice of the BBC shipping forecast, John Marsh. 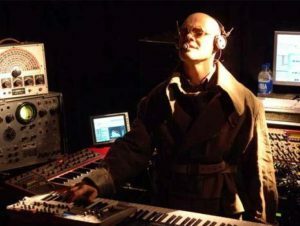 With this intellectual approach to modern pop, his boffin persona came to an artistic zenith with ‘She Blinded Me With Science’, a catchy slice of electro-funk noted for its cameo from everyone’s favourite mad professor Dr Magnus Pyke. Bizarrely, the record failed to go Top 40 in Britain but became an American Top 5 hit. 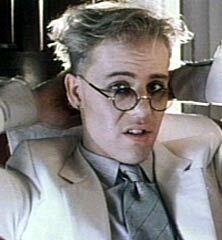 1984 signalled THOMAS DOLBY’s shift away from electronics with his biggest UK hit ‘Hyperactive!’ and its parent album ‘The Flat Earth’ which showcased a more jazzy, laid back approach as represented by the title track and his cover of DAN HICKS’ ‘I Scare Myself’. 1985 saw Dolby gain the respect of his elders and he was invited to play alongside HERBIE HANCOCK and STEVIE WONDER at The Grammy Awards and DAVID BOWIE at Live Aid. Continuing his zest for collaborations, he worked with GEORGE CLINTON on his ‘Some of My Best Jokes Are Friends’ album and contributed lead vocals to RYUICHI SAKAMOTO’s marvellous ‘Field Work’ single. In parallel, Dolby also juggled soundtrack projects and a successful production career which included acts as diverse as HOUDINI, PREFAB SROUT and JONI MITCHELL. Meanwhile the funk returned with a vengeance in 1988 on the Grammy nominated album ‘Aliens Ate My Buick’. Following his 1992 album ‘Astronauts & Heretics’, Dolby left the music industry and moved to Silicon Valley where he founded the company Beatnik Inc, developing music applications for the internet. His best known technological innovation has to be the polyphonic ringtone engine that is now encased in several billion Nokia mobile phones. Having retired from Beatnik Inc, Dolby found urges to make music again. 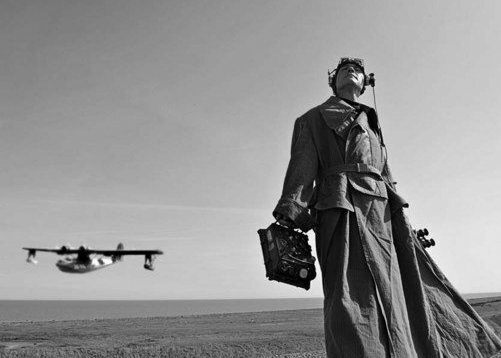 He tested the water in 2006 and returned to the UK with his Sole Inhabitant tour, celebrating his back catalogue and supporting DEPECHE MODE at the Wireless Festival. With renewed interest in his music, EMI issued the 2009 compilation ‘The Singular’. 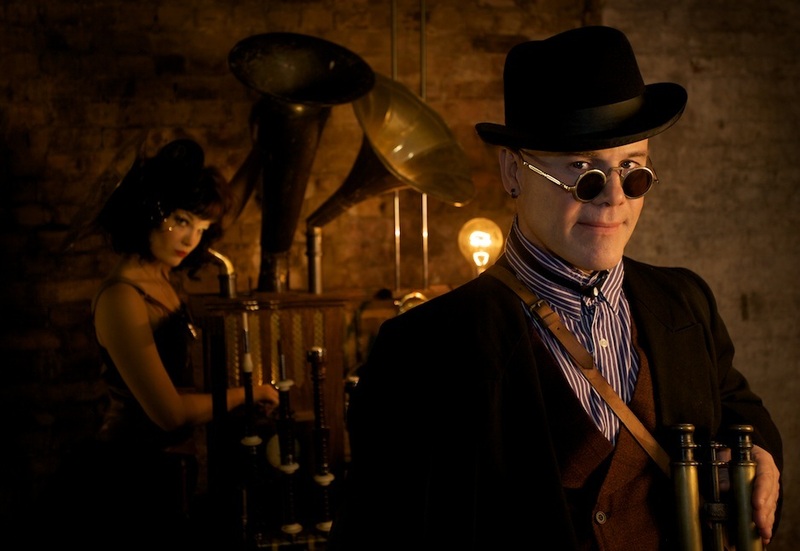 Following the release of two EPs ‘Amerikana’ and ‘Oceanea’ plus another one Urbanoia due out soon, THOMAS DOLBY is completing his first long player in nearly 20 years entitled ‘A Map Of The Floating City’. The album focuses on very personal, organic songs and was recorded in his 1930s lifeboat studio ‘The Nutmeg Of Consolation’ which is powered by renewable energy sources such as solar and naturally, wind power. As part of the lead up to the full release of the album, an online adventure game entitled The Floating City will be launched on his website this spring. 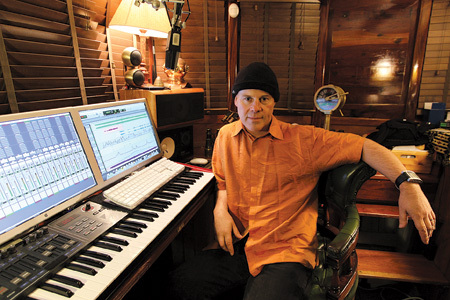 From his studio, THOMAS DOLBY spoke to The Electricity Club about his upcoming return and reminisced about his past explorations in sound. The sleeve notes to your ‘Retrospectacle’ CD mention that you built your first synthesizer. When was that and what was it? Did you ever use that on any of your recorded output in the end? No, that was all prior to doing any recording. In fact as soon as I got my first deal, I traded it in and got a Micromoog that was a lot easier to use. On ‘The Golden Age Of Wireless’, you had a PPG Wave Computer named ‘Henry’. What was it about its capability that made you adopt it as your main tool as opposed to other computer instruments like the Fairlight CMI, Synclavier or even the Crumar GPS which WENDY CARLOS used on Tron? The Fairlight had barely shown up in the UK at that point so there was no easy way to sequence things at all. The PPG was the first sequencer I’d seen… it had a drum module that sounded pretty good and gave me the option of tuning the samples. There’s a clap sound that shows up on ‘The Golden Age Of Wireless’ which is actually its snare drum slowed down a lot. Shortly after that, I bought the module for a Simmons drum kit and I was able to trigger those sounds from the PPG sequencer. On top of that, the PPG also had a wavetable synthesizer in it which had some pretty extraordinary sounds. Some of the wavetables were so disparate that you’d hit a key and the note had a sort of rhythm inherent to it… like the bassline in ‘Windpower’ which has this slapback effect. I think I actually wrote that song because I’d dialled up that sound. That’s what I made the song with. And where is ‘Henry’ now? ‘Europa And The Pirate Twins’ should have been a bit hit although it became very familiar as it was used as the theme for BBC Radio1’s Saturday afternoon magazine show. Where did the idea for this love story originally come from? I had a girlfriend and we used to fantasise that after the apocalypse, wherever we were, we would meet up on this beach in East Anglia where I grew up. She was French and I showed her this beach. We just imagined one day we’d meet up there again. That’s how the love story came about. I always thought she’d end up being this big movie star or something, she had that sort of charisma so the rest of the story kind of wrote itself. Why do you think ‘She Blinded Me With Science’ captured the hearts and minds of America but was largely ignored in Britain? I think a lot of it was club play and the video getting on MTV. In those days, videos didn’t get shown in the UK unless the artist was sick or on tour. If you had a song that was going up the charts, then they’d ask you in to do ‘Top Of The Pops’ but they wouldn’t just show a video. Whereas in the States, MTV had reached the big cities like New York, LA and so on… it was very hip at that time to stay in and watch MTV on a Saturday night instead of going out to a club or whatever. The trend setters and the early adopters were watching MTV and a lot of the videos on there were not that great. So if you had a video that was a little bit original, then it definitely causes some waves. And I think in my case, they were talking in the States about the new ‘British Invasion’ and synthpop so everyone was casting around looking for what this thing was. There was a guy with a catchy song and a very specific image and it was the antithesis of the mullet rock ‘n’ roll of the late 70s. So I think that’s why it really caught on. It was perceived as being very English and quirky. Whereas in the UK, there’s quirky Englishness around you all the time… Magnus Pyke was always on TV so there was nothing so extraordinary about seeing or hearing him! Its B-side ‘One Of Our Submarines’ is one of my favourites. Where did the inspiration for the lyrical imagery come from? Lyrically, the inspiration for it was my uncle Stephen who served in a submarine in the Second World War and drowned in it… it was all a bit pointless because they weren’t actually engaged in a battle, they were doing manoeuvres at the time so that’s a bit of a tragedy. I grew up with this photo of him by the stairs in his naval outfit. My lovely dad, being a professor certainly wasn’t an action man so I always looked up to my uncle as being the action man of the family. I thought about it as I grew up; you get older and your Boys Own illusion and the whole British Empire, Army, Navy etc, you get a little bit more subversive and start to turn against it. So that was the background to the song. His death became a metaphor for the fall of the British Empire really. And did you borrow the riff from ‘The Six Million Dollar Man’? The whole Boys Own, maritime exploration theme appears to go through all your work. What is it about the sea and water that fascinates you? I don’t know… it’s just my element really, it’s where I have to be. I mean I’ve spent time in the dessert and I can’t handle it! I feel I’m just drawn to the sea. If I hadn’t been a musician, I’d have ended up at sea in some form, a lifeguard or something like that. 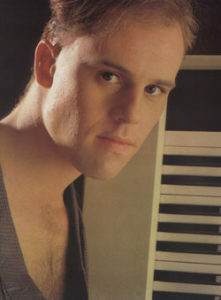 What did you think when HOWARD JONES came along effectively doing your act and became very successful at it? Did you ever feel you may have arrived too early? I think we’re very different kinds of musicians… our voices and so on. The similarity was we were both solo keyboard players making pop music, but the similarity ends there really. I’ve been friendly with Howard over the years and I think inevitably you get grouped into categories and that was bound to happen. In my case, I’ve always tried to focus on the songwriting rather than the genre or the look. ‘The Flat Earth’ signalled a shift away from electronics. Do you feel there was too much synthpop happening between 1983-84? In reality, about half the songs on ‘The Golden Age Of Wireless’ are band based, with a three piece band of bass, drums and guitar plus my keyboards. They weren’t played with sequences, they were played as a band and I added electronic thrills on top. There were others like ‘Windpower’, ‘Flying North’ and the electronic version of ‘Radio Silence’ which were more obviously sequenced and more into that synthpop kind of mould. But in a lot of ways, the music I’d really always aspired to make was somehow more moody and atmospheric and organic. A favourite couple of albums of mine were ‘Hejira’ by JONI MITCHELL and ‘Astral Weeks’ by VAN MORRISON. Both of them are quite spacey and transcendental, have got great songs and great poetry to them but don’t have rock grooves really. I think because I’m capable of doing more instantly accessible, quirky pop stuff, the tendency of the record company was to say “Oh there’s your single Thomas, right there… that’s going to be instantly catchy on the radio!”. But it’s quite hard to get them to put as much weight behind the more personal and intimate stuff because they knew I could do it. And I think the moment I had some commercial success with songs like ‘Hyperactive!’ and ‘She Blinded Me With Science’, there was no persuading them. So that’s an observation about how the industry was! From a purely business point of view, you can see that you get so little mind share in the world, why not milk the formula but that wasn’t me because I have a lot of breadth really. And I like to explore and keep using new musical metaphors with every new song that I write. And I think that’s always made it quite hard for the industry, they couldn’t pin me down. It was a great experience. To be able to play with somebody like STEVIE WONDER or DAVID BOWIE who had been my heroes during my teenage years at my most malleable, to get the acknowledgement of your heroes is a very flattering and gratifying thing. In both cases, it came together very quickly. With Bowie, the first time I’d ever spoken to him in my life was 9 days before Live Aid and he was in a bit of a fix because his regular touring band were off doing other things and he was busy filming ‘Labyrinth’. This thing came up and I think it took him a while to get his round the scope of the event. It was obviously something that he wanted to do but I don’t think he really grasped the full significance of it until the days went on and the event got closer. You’ve produced PREFAB SPROUT and JONI MITCHELL among others. As a musician based producer, how to do stay focussed on the task in hand? Has there ever been the temptation when you’ve come up with a great idea to go to yourself “I’ll keep that for my album”? One of the reasons I like working in variety of different environments is because it stimulates me to come up with stuff that I wouldn’t have come up with sitting at home. So that’s why I like to do these different projects. It draws it out of me. The trick to a collaboration is you have this relationship and ideas spark back and forth, that’s the joy of producing other artists. You have your first new album for nearly 20 years. So what can we expect from it? The album is quite a big body of work. It’s called ‘A Map Of The Floating City’ and there are three continents; ‘Amerikana’, ‘Oceanea’ and ‘Urbanoia’. There are songs in each section and they have different flavours to them. ‘Amerikana’ is quite a fond farewell to America. I lived there for nearly twenty years and I enjoyed my time there. I brought up three kids there. America gets a pretty bad rap but there are aspects to indigenous American culture that I think are really terrific; I like folk music and bluegrass, the origins of jazz music, things like that. So I’m not one to knock American just for the sake of it, there’s aspects of American roots culture that I really like. So it’s a nod in that direction but the songs are definitely sung by an Englishman, by a visitor to the States so the narrative that’s going on is definitely from the point of view of an outsider. And then ‘Oceanea’; it’s really about returning to my spiritual homeland back in the countryside where I grew up living by the sea, working in a restored lifeboat on a beach and I’ve got everything I need here emotionally. ‘Urbanoia’ is about cities. I only visit cities every now and then for a few days at a time. I’m not a city person; I like the thrill of a city but I can’t stand it for more than a few days so the ‘Urbanoia’ section of the album has got a certain darkness to it. How do you feel about the technological developments in music? After being away for so long, I’m fascinated by what’s happened within technology, both in recording and distribution. It’s a very exciting time because a lot of the rarefying tools that I had when I started out that were really only accessible to a few people, you can get them on your iPhone for a couple of quid. So it’s great that everybody’s got access to those tools. But at the same time, it totally turns me off the idea of playing with technology or making sounds, sequences and things because there’s ten thousand other guys in the world using exactly the same tools… chances are somebody’s going to come up with the same idea at the same time. So I don’t feel like a pioneer anymore working in that area. On the other hand, what I’ve got that those ten thousand guys haven’t got is songwriting ability. So I’ve focussed a lot more on songs, the lyrics, the chords, the personality in the voice… the sounds and the production are secondary, they just serve to illustrate the songs for me. There’s very few electronics actually on the album, it’s been quite rare that I’ve plugged in one of the old synths and overdubbed a part… it happens here and there. And there’s certainly no showing off from that point of view. But ironically with all these modern advances, are there actually more computers on your work now? There certainly are but they’re invisible, that’s the difference really. I’m still sequencing eighteen tracks at a time of guitar, bass and drums, moving verses around and using big stencils, big building blocks. Because of the limitations of sequencing technology in the early days, what you heard was bits and bytes, so people played to their strengths. You’d get DEPECHE MODE style arrangements where you knew you were listening to a machine, but there was a certain charm and beauty to it. And that’s what people built on. As the machines have gotten more powerful, those limitations go away and it becomes possible to actually subsume them back into the music again. I feel like I’m through that phase. Are there any of the electronic acts of the last five or ten years that you like? Not really, but I don’t listen hard to them so I won’t say that I don’t like them. I’m just not all that interested in electronica personally, so there’s not much stuff I could point out to you. The song ‘Oceanea’ sees you collaborating again with Eddi Reader who you worked with on Cruel. How did that come about? I stayed in touch with Eddi over the years. When I wrote the song, I very much had her in mind for a part. The song has a very strong presence of my mum who is from East Anglia and I think would be very pleased to see I’ve moved back and brought my family to the coast here. So Eddi is really the voice of my mother, she’s a nurturing voice who kind of reiterates my own thoughts, comforts me and says “you did the right thing, now you should just be free”. Which songs on the new album have been your favourites? I think I’m so deep in the album that I love all of them. I’m very pleased with the way it’s going. Obviously, I care a lot more about a song like Oceanea that is from the heart than something like ‘Toadlickers’ which is a bit more tongue-in-cheek and throwaway. I think ‘Toadlickers’ is a sort of successor to ‘She Blinded Me With Science’, ‘Hyperactive!’ or ‘Airhead’ where I’m playing a character or a role. It’s a jaunty, fun thing and they’re the more superficial end of what I do. I like the breadth of moods on the album and I’m very excited about finishing it. Personally, I think it will be my best but I’m sure there will be some debate over that. I’m constantly pleased that between my four solo albums, there’s a very even distribution of who likes what. The one that sticks out is ‘Aliens Ate My Buick’ because it’s a lot more extroverted and funky etc so has it’s detractors but equally, there are also people who swear by that album and it still gets played on stadium and audiophile sound systems. If you had a poll and 89% of people picked the same album as their favourite, then I would be disappointed. If the internet didn’t exist, would you have ever returned to the music business? If the music industry had not changed and had been the same way as it was first time round, I’m not sure if I would have done. I think I might have tried my hand as a writer or something completely different. I love the fact that the internet gives music a much more efficient means of distribution and it also brings me closer to the fans. As I’ve been doing this album, I feel their presence, I feel they’re involved. They know what I’m up to because of blogging, tweeting, Facebook and so on. I feel the moral support of the fans with me. Whereas in the old days, it was all focussed on the record company’s street date and really until that date, the world at large would never get to hear what you’d been up to. It was all so polarised, so black and white. I much prefer the integrated feeling of the fact that there’s this loop going on between the artists and the fans all the time when you’re working and writing. I’m just aware they’re only a button-click away, that’s where my audience is. In the past, there was this whole assault course you had to get over before you got to your audience. It’s great that you also have the option of changing things… you can put out an EP and then you can completely remix or rethink a song and do a different version of it on the album. And it’s not an either / or, they can sit side by side in iTunes and if people want both or if they want to make a choice, it’s entirely up to them. It’s also less pressure on the artists and allows them to be creative… which is what you want them to be, not having to tackle all this business stuff! Yes, as is often the case, the industry is lagging behind. When RADIOHEAD put out ‘In Rainbows’ with ten days notice, it was three or four months before the likes of Rolling Stone magazine were able to review the album. The blogs and websites had reviewed the album the day it came out. So that really has messed up the whole time line of the way the industry works because they’re used to having the three to four month run-ins and this big street date. The industry is really not comfortable with people doing things piecemeal. But the effect of that RADIOHEAD album, and to an extent IMOGEN HEAP’s ‘Ellipse’ album which she was tweeting and involving fans in and having flashmob gigs and things while she was composing the songs. And while she was recording, she’d put up two basslines and ask fans what they thought… meanwhile, she’s telling you what she crumbled on her salad for lunch! But the result of it was that over time, her audience was so totally enraptured by the whole process that they were just gasping for the album. So I think the industry will have to figure out how to accommodate this because it’s not so cut and dried anymore. ‘The Lost Airman’ – where did you dream up that character from? It sort of came about because of this thing with Amanda Palmer formally of THE DRESDEN DOLLS. She was coming over to tour with EVELYN EVELYN and then the volcanic ash cloud hit, the band and her Siamese twin hadn’t made it in. So rather than cancel the dates, she was going to try to do them solo but she had no equipment, no tour manager, no nothing! So she was frantically calling round people she knew in England so I started helping her out with that. Then her Siamese twin ie the other half of EVELYN EVELYN got in on a plane and she got some equipment together but they were missing their compere, who in the original show was a sinister circus master. You have done several movie soundtracks like ‘Gothic’, ‘Howard The Duck’, ‘Toys’, ‘FernGully: The Last Rainforest’ and ‘Gate To The Mind’s Eye’. Have you got any particular favourite among your soundtracks? Not really, I think movie scoring was a blessing and a curse. On a certain level, it’s wonderful to make instrumental music but the curse of it is that you’re fairly low on the Totem pole as the composer and the music is the first thing to suffer if they make a change for whatever reason. This sentiment is echoed by every film composer I know. So that’s a little bit tough to put your heart and soul into it, you’re likely to get wounded. I try to put my heart and soul into everything but it was a bit disillusioning some of the experiences. But I suppose the best experience overall was ‘Gothic’ because I was fortunate in that there was only one maniacal film maker to deal with, not a whole studio system with executives breathing down my neck… Ken Russell is the only person that makes Ken Russell film and he’s a music fan so the scoring process was very precious to him so it was one-on-one, working with him on that. The Gate To The Mind’s Eye was also a good experience because again, the guy that was editing it, it was just the two of us working on it. I think I work better in close collaboration with one or two people versus dealing with a whole hierarchy; I’m not very good at the politics of that. So would you like to be remembered for being a pioneering musician or for co-designing the polyphonic ringtone for Nokia? But I think rather be remembered for the broad spectrum of what I did and what I have done. I think the best of it is to come. The fan favourite ‘I Love You Goodbye’ has been covered by LU and starts with the line “I would never go bowling on a Friday morning in New Orleans”. Did you ever actually go bowling in New Orleans? Yes, I did. There is a Zydeco bowling lane in New Orleans where they have a Zydeco band playing in flashing disco lights and you can bowl at the same time. I can’t remember the name of it, I sure someone will be able to tell you but it’s still there and it’s very famous. So if you were an animal, which would you be? Some sort of hawk, a hovering bird I think… maybe an osprey or a kestrel. With thanks also to Darren Goldsmith, Louise Harrison, Lindon Lait and Tapio Normall from The Flat Earth Society for their additional questions. The ‘Oceanea’ EP is available now on Lost Toy People.